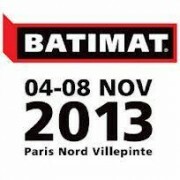 We are glad to inform that our company will participate this year in the trade fair BATIMAT 2017, that will take place in Paris, France. 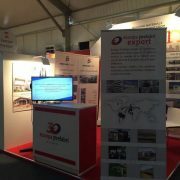 We are excited about introducing our company and products at the most important construction fair worldwide. 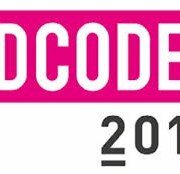 You will find us at the Stand 13, pavilion 5A, Hall M. The fair will take place at the Parc des Expositions de Paris Nord Villepinte. Our main goal for this fair is strengthening our position in the French market, introducing our products and exhibiting new construction solutions. 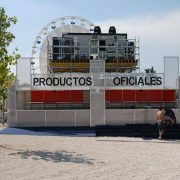 We will be at the entire disposal of everyone who would like to know better our modular constructions, talk about a project or establish a business relationship with our company. 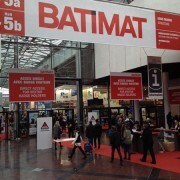 BATIMAT is a biannual fair recognized worldwide as the most important of the construction sector. A great number of professionals and purchase managers of the industry will gather in this event in order to find innovative and efficient solutions. Our company has been taking part in this event for years. The statistics from last editions showed some spectacular figures: 1.746 exhibitors, from which more than half of them were international. Furthermore, 275.016 professionals of the sector visited the fair. 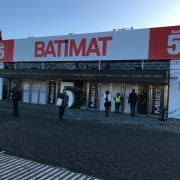 We invite you to come and see us to our Stand in BATIMAT 2017, event where you will also be able to attend conferences, observe the newest products in the sector and foster international business relationships. For more information, click here. WE ARE GOING TO PARTICIPATE IN ARCHIBAT 2017!